Although the Porsche Panamera isn’t exactly at the top of our personal list of favorite luxury sport sedans, it is by no means a crummy car. 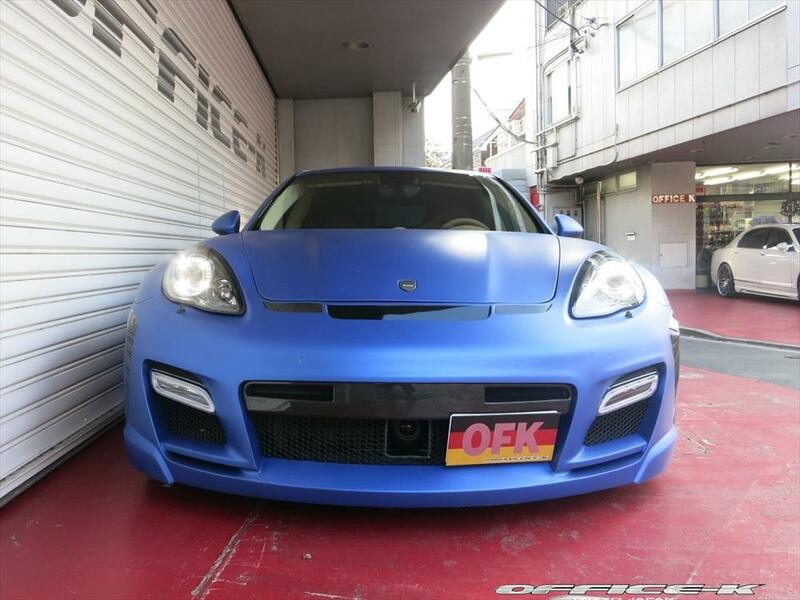 It’s got a roomy and plush interior, a handy hatchback body style, and the sort of entertaining driving dynamics one would expect from a car wearing the Porsche crest (This is especially true of the Panamera Turbo and Turbo S). 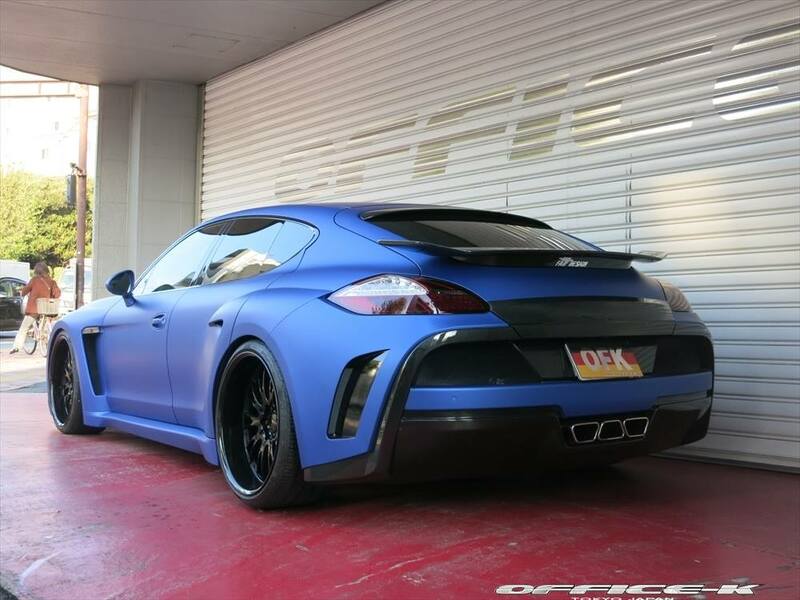 So it’s not a massive surprise that this more-door sports car is one of the most popular starting points for tuners. 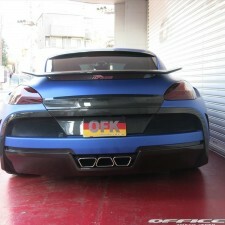 One such tuner is Japan-based Office-K. 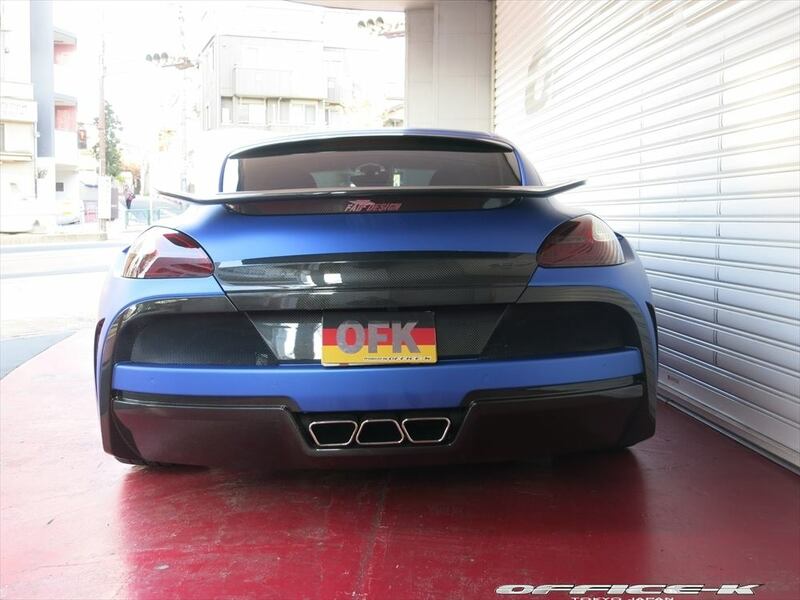 When it comes to modifying high end luxury and performance cars using parts from well-known aftermarket equipment manufacturers, Office-K is one of the most prolific shops in the Far East. 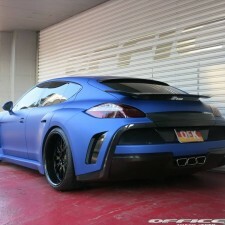 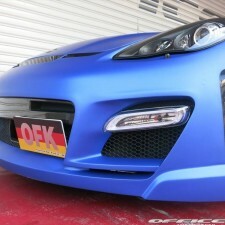 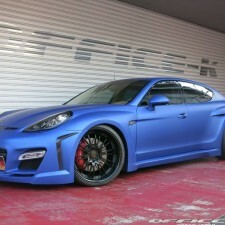 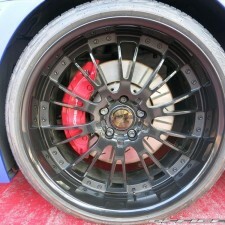 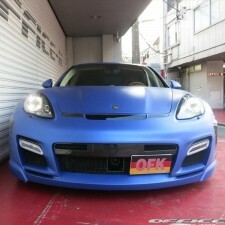 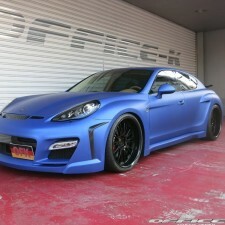 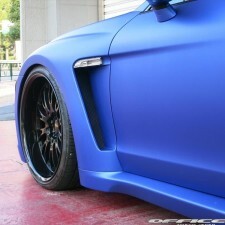 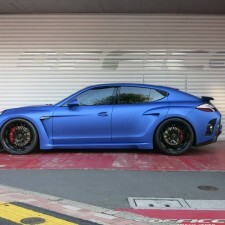 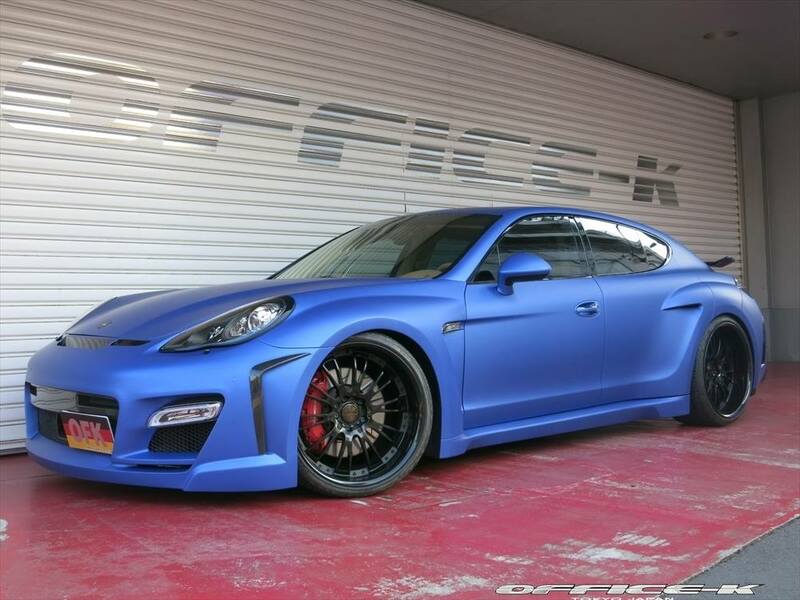 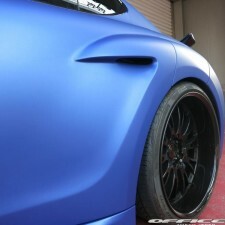 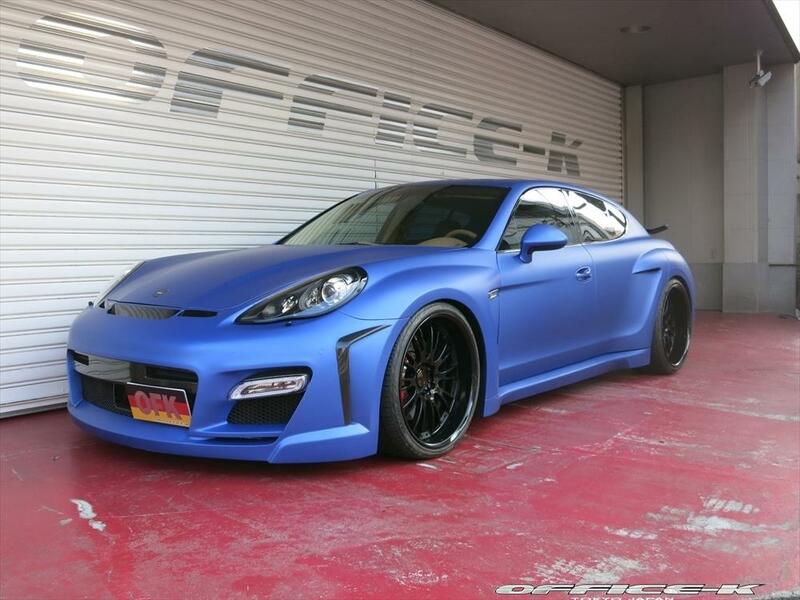 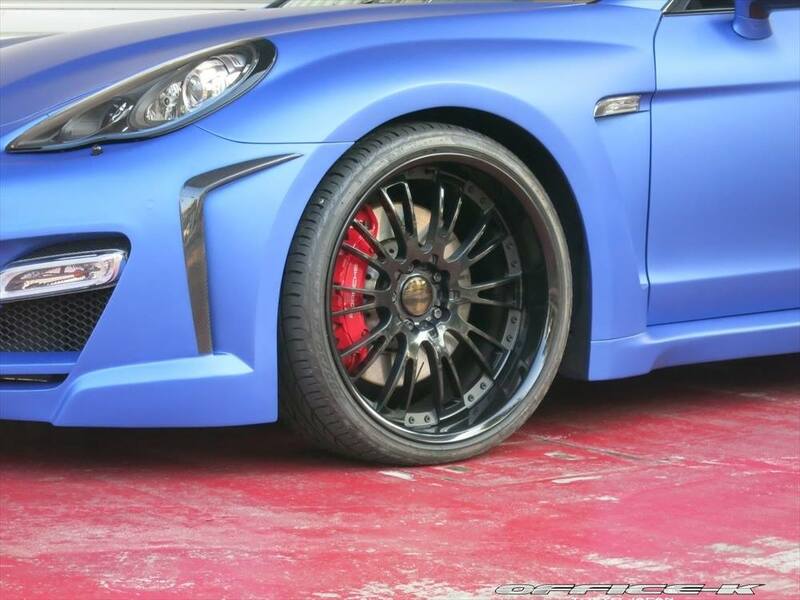 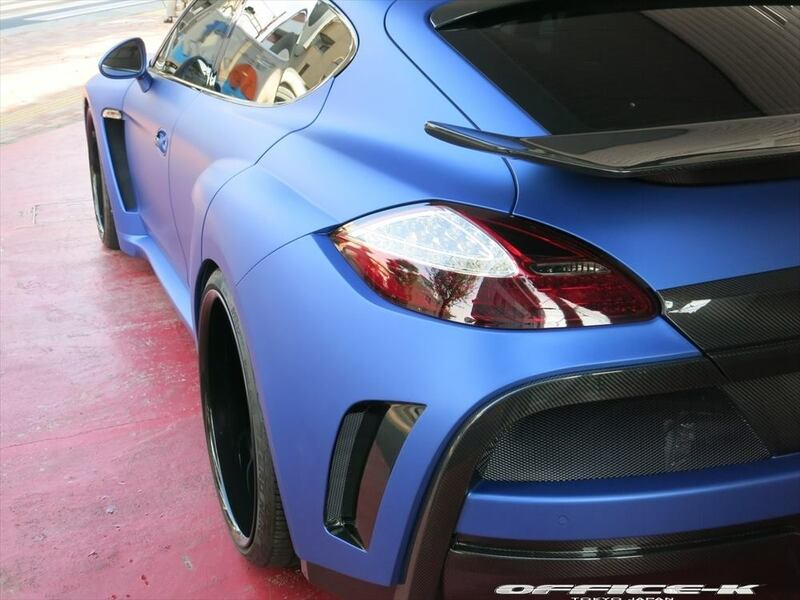 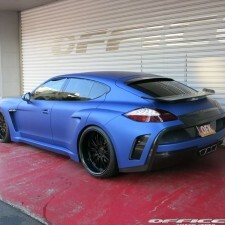 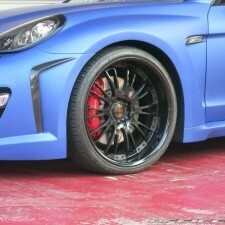 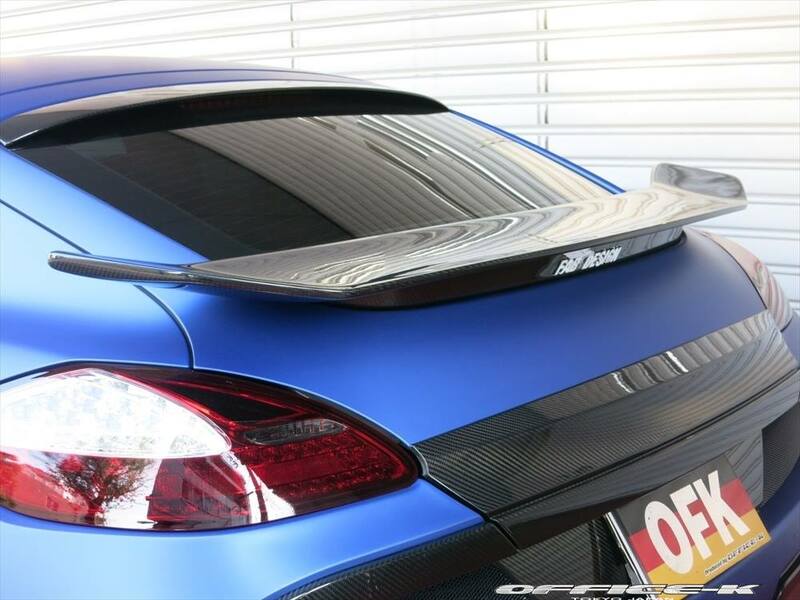 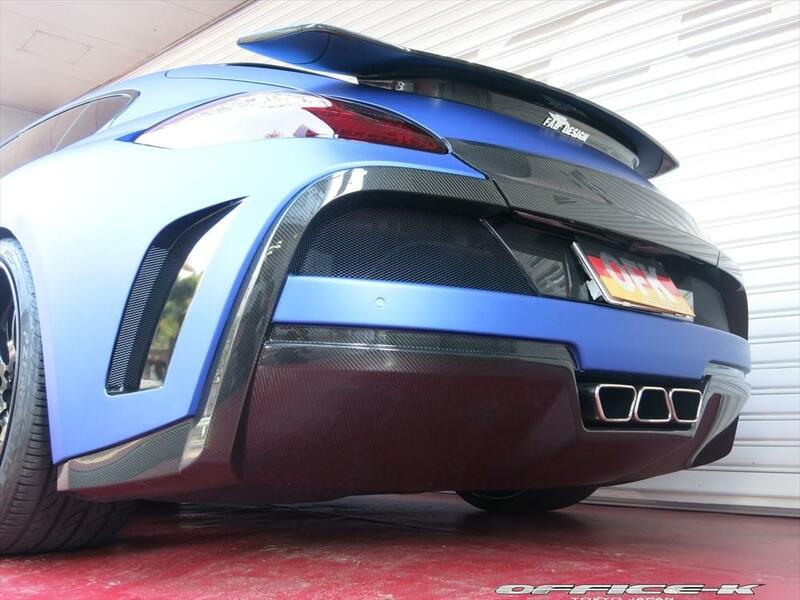 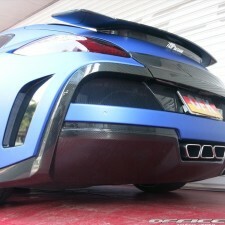 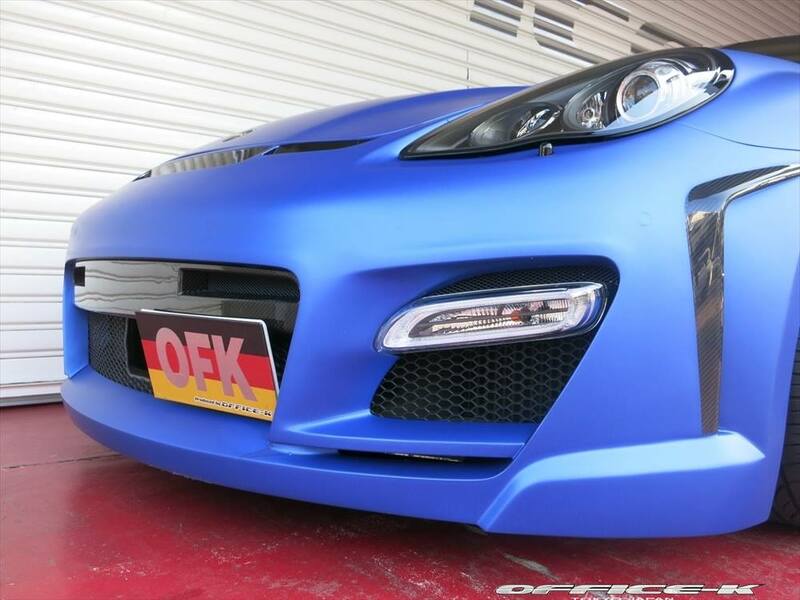 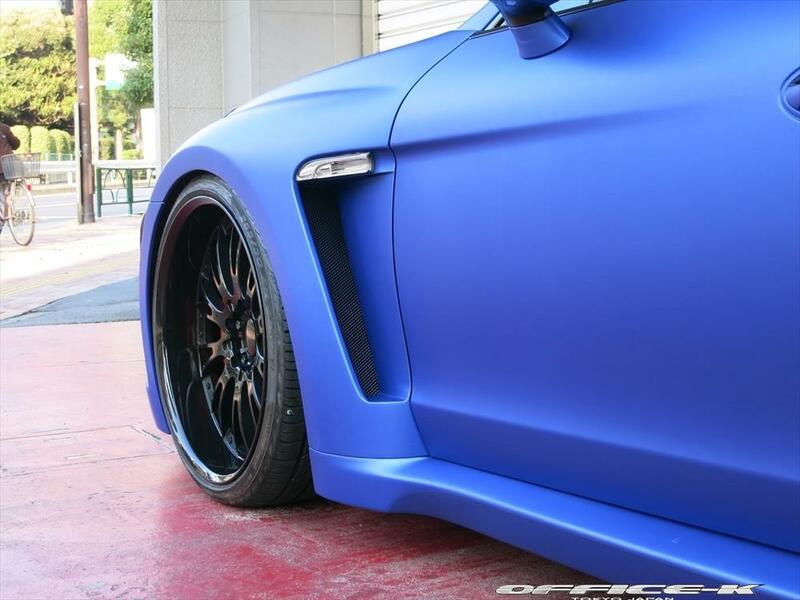 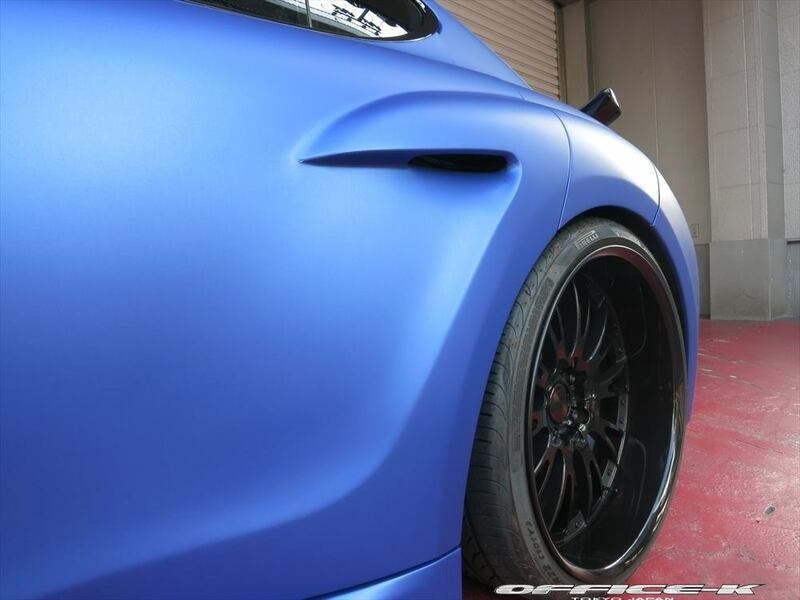 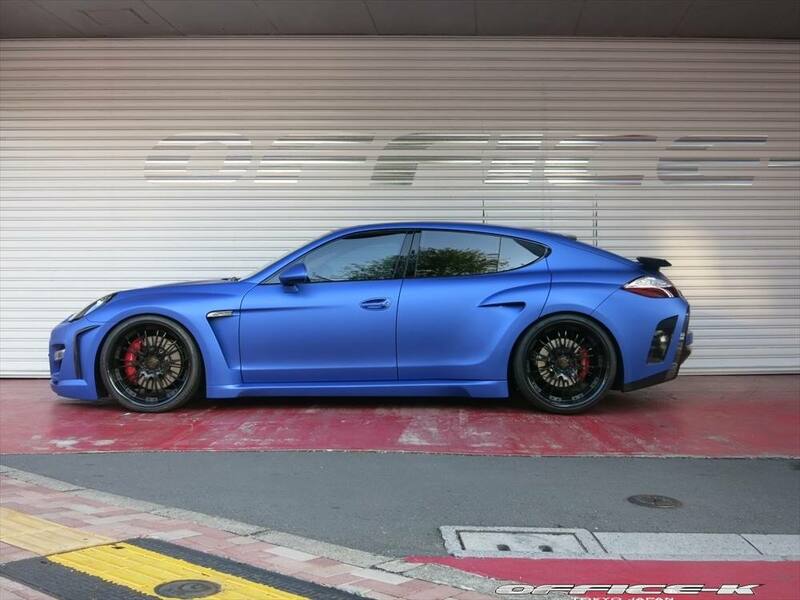 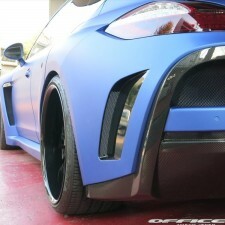 And they recently selected a body kit from FAB Design for installation on the matte blue Panamera you see here. 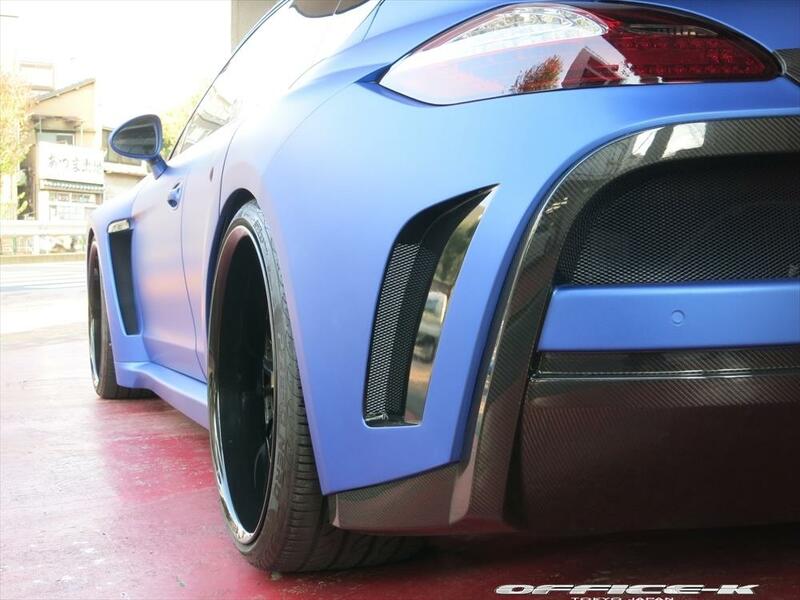 The FAB Design kit is a full-on wide body kit, consisting of a bold new front bumper, flared front and rear fenders (including new rear door skins, since the back flares flow into the doors), extended side skirts, a wider rear bumper that for some reason reminds us of the one on the Ferrari California, and carbon fiber spoilers above and below the rear window. 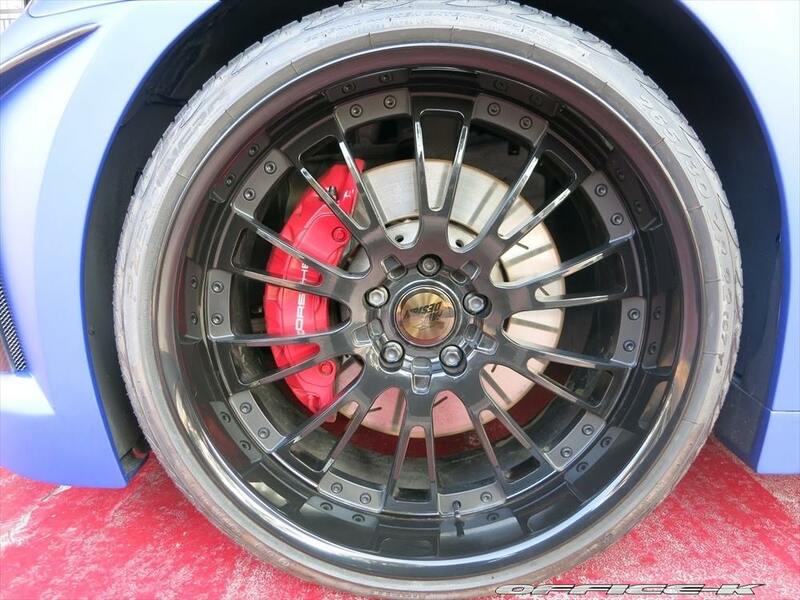 Wheels are FAB Design’s own multi-piece 22” alloys wearing Pirelli tires, and the taillight lenses are lightly tinted for a more sinister look. 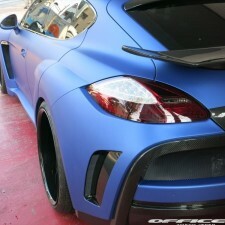 Inside, Office-K also made use of FAB Design interior trim parts. 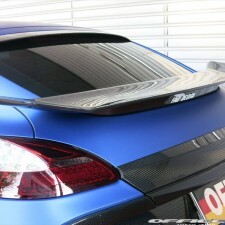 Included among these components are carbon fiber bits for the dashboard and steering wheel. 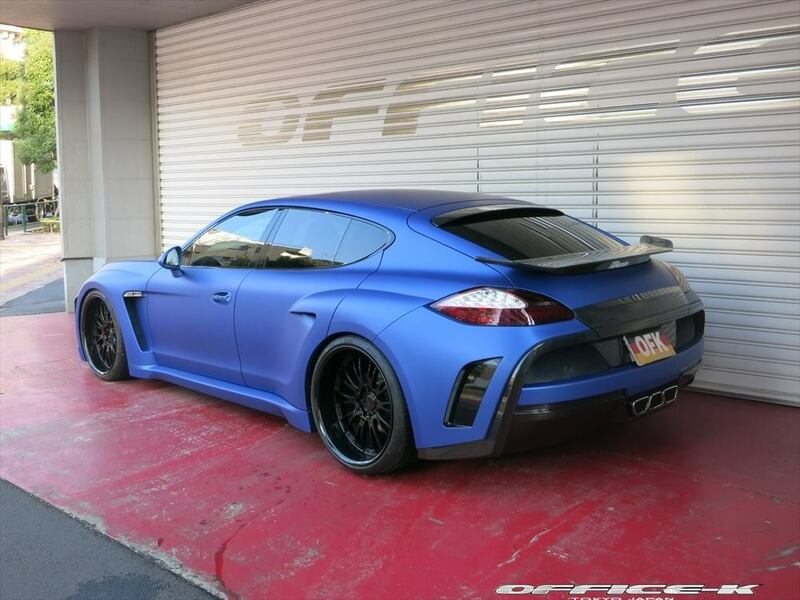 Unfortunately, the company has only released the one picture of the interior you see here.